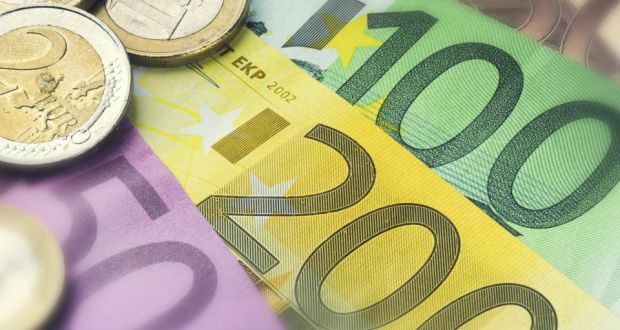 The Irish revenue has said that a “technical error” resulted in around 2,000 overseas businesses being sent incorrect invoices. These were supposedly for the new VAT Moss system that has been put in place to allow businesses to pay tax abroad without having to register in each jurisdiction. Revenue has said that it is working to update the system to prevent a recurrence of the problem. Traders who received the invoices took to social media to express their disbelief, with the error being covered on the WebDevLaw blog. Earlier Alastair Houghton, a member of the HMRC/SME VAT Moss Working Group in the United Kingdom, said that the letters had come from the Irish Revenue Commissioners but had been sent in error. There has been no financial impact on those who received the invoices and Revenue has issued an apology for the incident. Earlier letters were asking some individuals for amounts in excess of €1 million. Invoices were mostly sent to customers in the United Kingdom. Other correspondence is known to have been sent to the Netherlands and possibly the United States. The letters sent out were addressed from Michael Gladney, the collector-general with the Revenue. Individuals were given instructions on where to transfer money to. Irish Water Staff now calling customers who have not made a payment after first two bills, and they remind customers to pay the bill and the charges due. Irish Water has started calling customers who have failed to make any payments on their first two utility bills to remind them to pay the charges. Irish Water spokeswoman Elizabeth Arnett said call centre staff last week began phoning customers who had yet to make any payments 21 days following the issuing of their second water bill. The company had stated five weeks ago that it intended to take this step, which was normal practice “in every single utility company”, she said. Ms Arnett denied suggestions made in some media that there was any targeting of older customers by the call centre staff. She also emphasised the calls were being made by the company’s call centre, and the debts had not been passed on to a debt collection agency. Suggestions made by anti-water charge protesters that some elderly people had been told their water supply would be cut were also false, she said. Call centre staff offer customers the opportunity to pay over the phone, and outline the different payment methods to those who do not wish to pay at that time, she said. This equates to about 675,000 households or 43 per cent of the estimated 1.5 million households on the public water network. While follow-up calling for non-payment of utility bills may be a common practice, the decision represents yet another public relations blunder for Irish Water. There have been a succession of incidents that have plagued the utility. Questions were raised over executive remuneration and bonus payments. Head of Irish Water John Tierney revealed on RTÉ that the company had paid €50million to consultants. Then within weeks it emerged that 29 staff members earned more than €100,000 each. The ESRI economist John FitzGerald calculated that the extra 2,000 staff the company absorbed from local authorities would cost Irish Water up to €2 billion by 2025. Two weeks ago Eurostat raised a number of concerns about the Government’s considerable control of the utility company. The EU statistics agency confirmed the company had failed the Market Corporation Test which means it must remain on the exchequer balance sheet in the coming years. It also took issue with Government control regarding board appointments and operations. 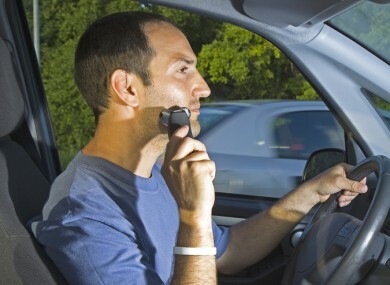 Almost a third of drivers say they regularly see people applying make-up or shaving while driving. The figure comes from a survey by the AA, which also says that 83% of us have seen people using a phone while behind the wheel. 56% of those polled said they had seen people texting while driving, while another regular experience was witnessing people not indicating properly on roundabouts (84%). The AA also collected anecdotal evidence by positioning a fieldworker on a busy intersection to observe traffic. They reported that, out of 415 vehicles observed passing the intersection during one hour, 10 motorists – including two taxi drivers – were using mobile phones. Another four used their phones while first in the queue at lights. Leinster Rugby and TCD have linked up in two promising brain injury studies. 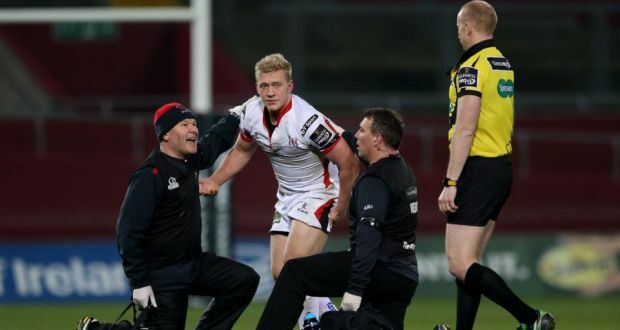 Ulster’s Stuart Olding above picture left leaves the field after a head injury sustained against Munster at Thomond Park in last season’s Pro12 competition. Concussion continues to hang over rugby like an unwelcome cloud. We can expect the World Cup to highlight the dangers and see how far the sport has travelled on what has been a steep learning curve. But the threat of brain trauma is becoming less sinister and more understood as academics in Trinity College Dublin begin to make inroads and promote some optimism. In recent months researchers at the university doing work involving blood examinations, as well as using cadavers to see how body movement behaves on impact, have joined forces with Leinster Rugby for two innovative projects into the diagnosis and analysis of the injury. Ultimately, the teams hope to identify incidences of concussion and predict when a player should be taken out of a match. They are not at that stage yet, but initial findings have moved both projects closer to the main objective of an early warning system that would increase player welfare. One of the projects is based on studying the movement of human bodies in car accidents to help understand what positions and actions cause brain trauma in sports collisions. The other is a simple blood test that shows up proteins that are associated with concussion. In time they hope a pin-prick test can be used to determine head injury. They have already identified what they call metabolic patterns that indicate trauma has taken place. “Every activity in the body leaves a map,” says Dr Fiona Wilson, a former Irish rowing team physiotherapist, who along with physiologist Áine Kelly, is conducting the research into blood. They have studied the blood from people with severe brain trauma and examined the proteins. They then took blood from rowers, who do not have any collisions in their sport but their metabolic systems work as hard as professional rugby players. This was to determine that the proteins found in rugby players were from multiple collisions and not physical exercise. From the injured patients they knew what “brain damage” proteins would appear in the blood. “It’s the same as having a heart attack,” adds Wilson.”You go in to hospital with a pain in your chest and they measure cardiac enzymes. It’s like a brain injury. We know patients with brain injury so we can match our players against that. In time, debates like those around Irish outhalf Johnny Sexton and Welsh winger, George North – should they or shouldn’t they return to play – will be measurable, a sort of Hawkeye for head injury. The movement patterns, of bodies involved in collisions may appear ghoulish, but in scientific endeavour there’s no such thing as squeamish and dead people can often keep the living alive for longer. Associate professor Ciarán Simms and bioengineering PhD student Gregory Tierney are using multi-angled videos to look at collisions. They take real footage of rugby incidents and superimpose a model skeleton image on the players. Based on previous knowledge from experiments conducted on cadavers and studies of pedestrian crashes, they use mathematics to conclude what forces are in play and identify various tolerance thresholds. From a database compiled over years of research, they can look at the kind of body movements and collisions that cause concussion. It takes several weeks to do a study, but with automation the goal is for real time use during rugby matches. The findings are ready to be peer reviewed, with a draft of findings expected to be ready within a month. The perfect outcome would be that for each match a TMO equivalent could look at impacts and use the technology to instantly tell whether a concussive impact has occurred or not. In tandem with the blood markers and the other battery of neurological tests there is excitement about bringing the lab to the pitch. The research is being funded from America by the NFL’s Head Health Challenge, a fund for the development of new materials and technologies that can detect early-stage mild traumatic brain injuries and improve brain protection. As collaborators, they are committing up to $20 million to a variety of projects. Owls are equipped with sophisticated ‘stealth technique’ to help them swoop on prey undetected, according to new study that unveils the secret behind the nocturnal bird’s silent flight. Scientists have long been puzzled by the owl’s ability to flap its wings hard enough to rise into the air without a sound while swooping silently on swift-moving rodents out of the still night. The researchers crowned the owl the “king of acoustic stealth” after discovering that its wings absorbed the energy of flight vibrations and converted it to heat much more efficiently than other birds they examined. Generating enough thrust to get aloft involves a large amount of force and disturbs a lot of air. Yet most owl species manage to do it at frequencies below 2 kilohertz (kHz), well out of their prey’s hearing range, ‘The Times’ reported. 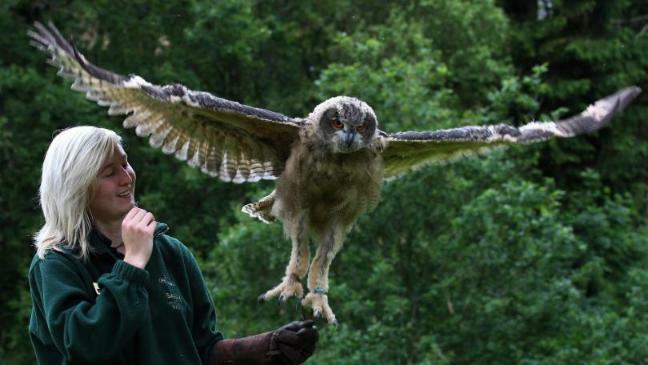 Researchers used the feathers of a long-eared owl, a golden eagle and a pigeon. Simulating wing-beats, they measured the vibrations and found that the owl feathers trapped much more of the energy as heat than the others. Scientists could copy the owl’s noise-reduction mechanisms to quieten machine noises such as the thrum of onshore wind turbines, said Jinkui Chu, professor of mechanical engineering at Dalian University of Technology in China. “The owl’s silent flight ability is even more superior than we thought,” said Jinkui. “It not only manages to suppress aerodynamic noise when gliding, but also mechanical noise caused by vibration during flying. This is remarkable, considering the noise that creates for other birds,” he said.